All this has me a bit confused. I have two generalskie ones. I've always thought of them as amphibians. One has an arrow hand and o one doesn't. Do you remember what the back looked like? Did it say "Amphibian" or something simpler like these (1, 2, 3, 4)? My opinion (right now, tenuous at best) is that any Generalskies with Amphibian casebacks are constructions. I think case material is key. If it's a chromed case, it's definitely, definitely not an Amphibian. And 99% of Generalskies have chromed cases (but maybe not all, as I'm beginning to realize). But the watch on the right looks both like a legitimate Generalskie and an Amphibian. Which is a head-scratcher. I guess rules are made to be broken. Last edited by mroatman; September 21st, 2017 at 16:12. I searched a bit hoping to find a series of old pictures with no luck so far; but this goes back maybe 5 years and as I remember its authenticity was confirmed by Seele, et al, the authorities of that time. I will continue searching when I get the time (and motivation). 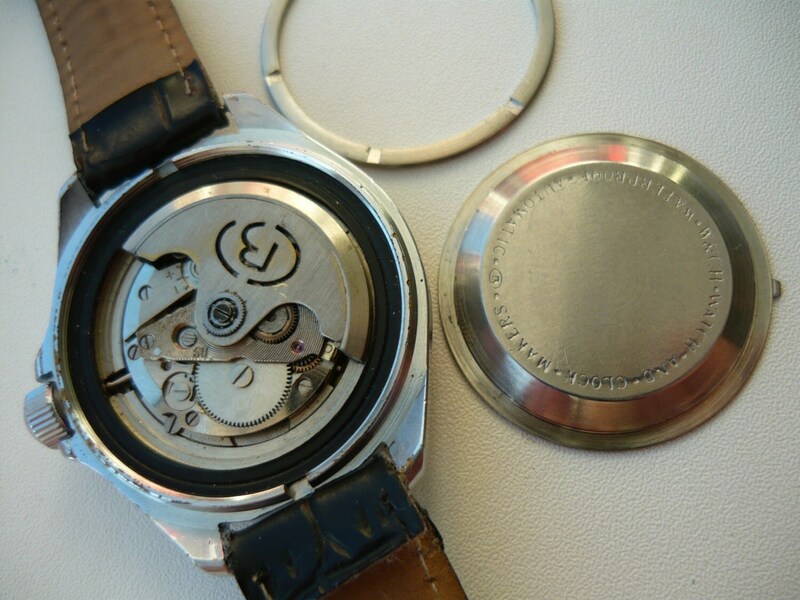 I think there tends to be confusion when identifying and classifying a particular watch type by what signed dials usually are found on it instead of physical characteristics. Just as there are what we consider amphibians with "komandirskie" signed dials, I don't see why there couldn't be amphibians with "generalskie" dials, perhaps like Kev's right hand example. Anyone know if there's still a good link around for Seele, et al's amphibian case type pdf? None of mine work any more. 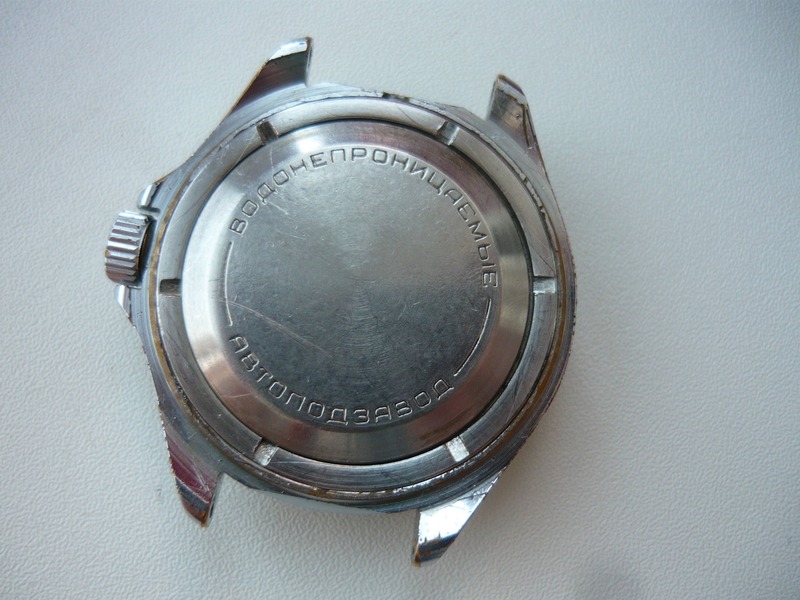 I've never seen a stainless steel Vostok dive-style case with crown guards, by the way. From a series of pictures taken 9/20/12, almost five years ago to the day. I think the remaining unanswered question in my mind is whether the back was antimagnetic. Notice the dial color. How many soviet black scuba-dude dials have you seen? Yes, I think you're right here, and that's the most likely explanation to these "Generalskie" Amphibians we see. I think the remaining unanswered question in my mind is whether the back was antimagnetic. No, not antimagnetic (1, 2, 3). Ah yes, of course, another important feature. So here are my compiled findings regarding Generalskies. I suppose these can't be "rules", as nothing is that firm in the Soviet watch world. But perhaps we should say "relatively firm principles". Case type 09x which looks like an enlarged Komadirskie case with crown guard. Crown is usually rounded (1) but not always (2). Case type 92x which looks like 420 case but is chromed (1, 2). Here are some more images I compiled for study. So, back to the three watches in question: mine, yours, and Kevin's. - I believe mine is an original Generalskie using case-type 92x. The crown may be replaced(?). - I believe yours is an original Generalskie with the exception perhaps of the hands. The arrowed, Amphibian-style hour hand doesn't fit with a Generalskie, and the lume doens't match the dial. 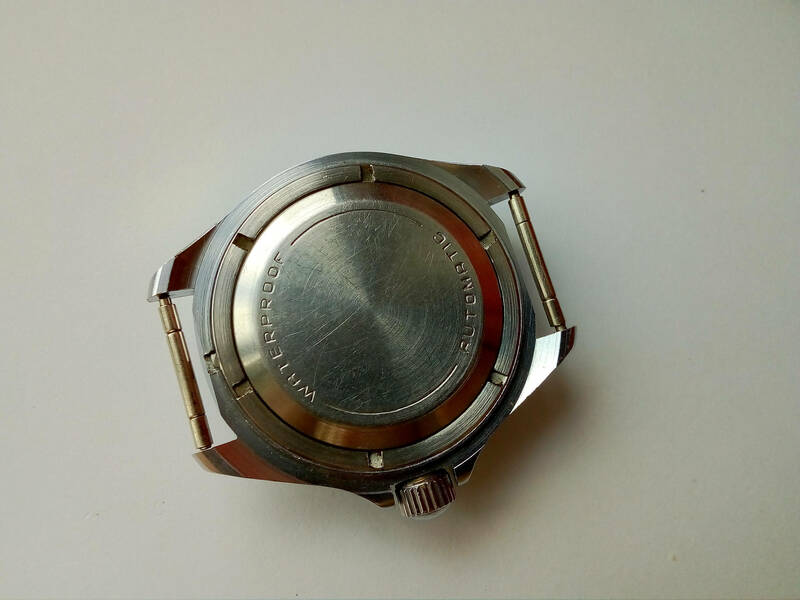 - I believe Kevin's is actually an Amphibia (pending confirmation that the case is steel) with a Generalskie-themed dial, like those Komandirskie Amphibians you mentioned before. Whew. How far off am I? That's an Amphibian!? Oh geez, I have no idea why I had convinced myself that case was chromed. Okay, so I seemed to have sparked some debate about what constitutes a generalskie. But I have learned a lot from the discussion! From what we have all gathered, do my fellow comrades feel that this one is legit aside from the lume dot on the bezel? It seems I have some website reorganization to do too. Both mine are listed under amphibian but now obviously the scuba dude one is in fact a komandirskie but an automatic. 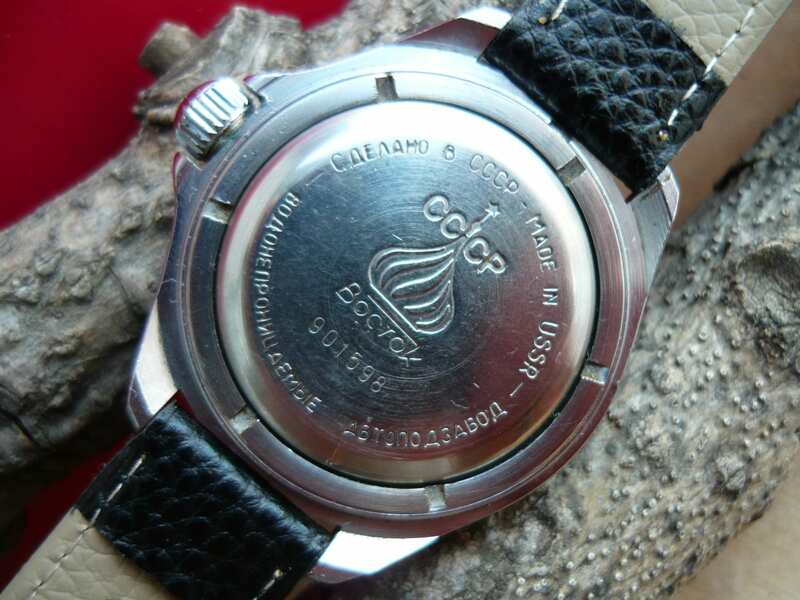 The other one is actually a vremir and is a steel case and so an amphibian as indicated by the arrow hand. I also saw a discussion recently about the plastic case komandirskie, which actually isn't a komandirskie as its not waterproof so another one i have to move. Dashiell any chance you could send me the amphibian and komandirskie pdf too , I lost mine when my old computer died.